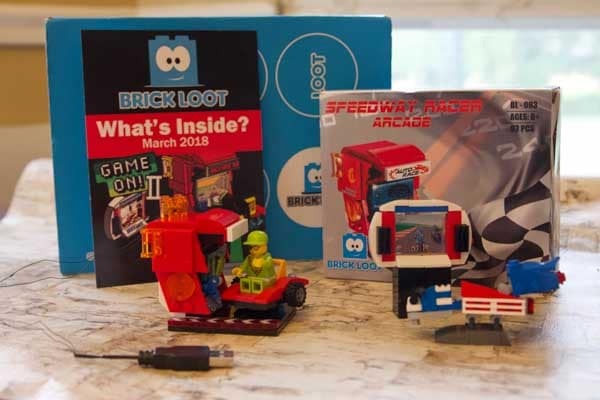 March was an awesome month to receive a Brick Loot box! 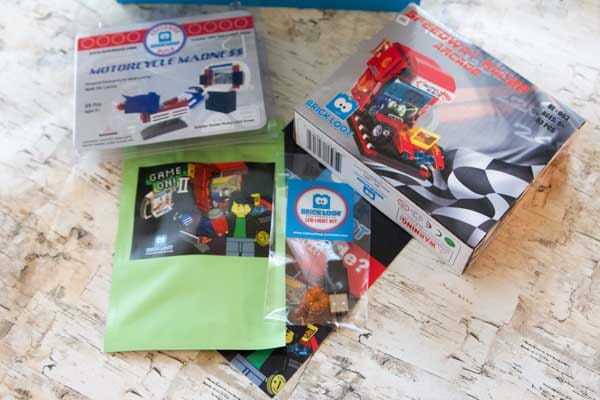 If you have kids who are anything like my boys, then you know they will love the arcade theme of the box. 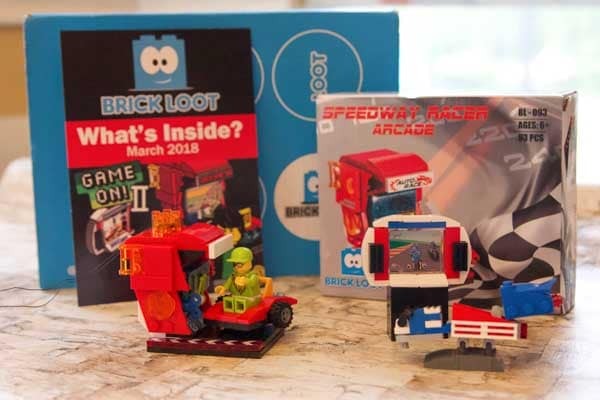 Each Brick Loot box is packed with a fun theme each month. They do a fantastic job of researching the latest and greatest Brick themed toys. 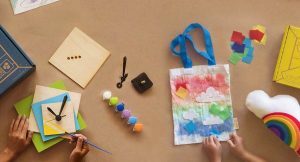 Your kids will absolutely love the awesomeness in every box! 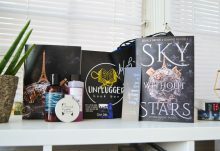 This months box included an awesome baseball cap! Pinky’s Arcade Hat. Those who are regulars at Pinky’s arcade will have a totally awesome cap to show their love for the classic arcades. Every month the boys divide and conquer the building kits. They were excited to see there were two different arcade games to build and a special LED light kit too! The boys spent a good ten minutes pouring over the flyer inside the box that describes all of the items included. I love that they get to see the back story on the pieces and the theme. 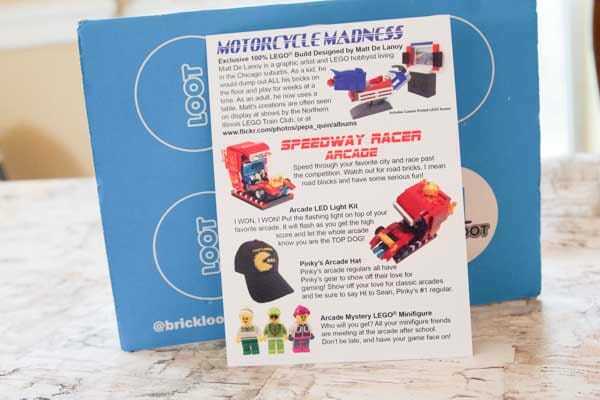 Motorcycle Madness is an exclusive 100% LEGO build designed by Matt De Lanoy. Matt is a graphic artist and LEGO hobbyist from Chicago suburbs. When he was a kid he would dump all his bricks on the floor and play for weeks at a time. Now as an adult, he uses a table. Matt’s creations can be seen on display at shows by the Northern Illinois LEGO Train Club or at www.flickr.com/photos/pepa_quin/albums. Speedway Racer arcade was a favorite in this box. 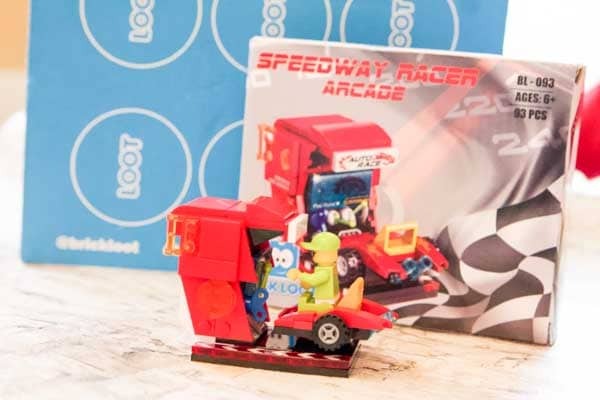 Your LEGO MiniFig can speed through your favorite city and win the race! The level of imagination is awesome in this mini build and it’s a fun addition to my boys LEGO mini city display. This month had an Arcade Mystery LEGO Minifigure. It was fun guessing which mini figure friend we would be getting and our guess was right! 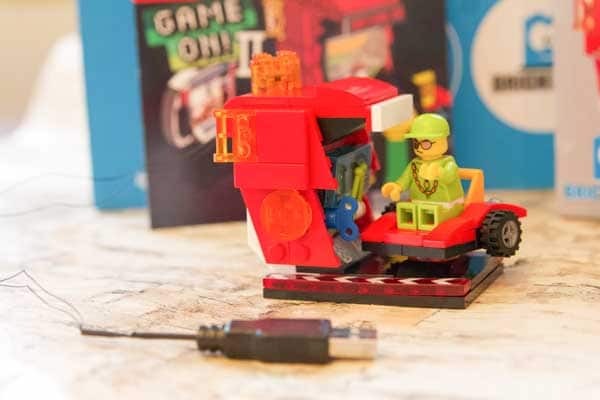 This minifigure certainly has his gaming face on. The last item in the box was an Arcade LED Light Kit. This was such a fun addition to the box! The boys are always working to create real life effects in their LEGO mini city world. The LED light plugs into any USB port and will flash when plugged in. We attached it to the top of the Speedway Racer Arcade and the boys kept yelling, “I won! I won!” This item got the high score for fun. 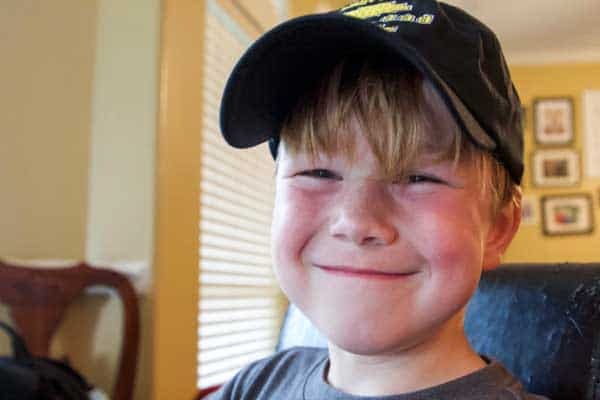 Brick Loot is the creation of 9 year old Parker Krex who is now 13. Parker has such deep love for LEGO and has quite a massive collection. He has been playing with LEGOs since he was 3 and reviewing his sets on YouTube since he was 4. 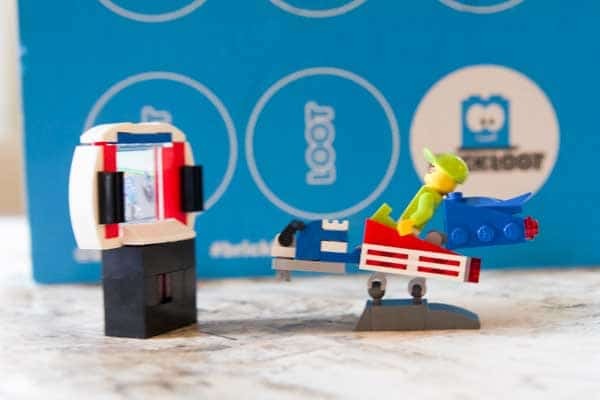 His true passion of sharing LEGO with the world inspired him to begin the Brick Loot subscription box. Parker is now the CEO – Chief Entertainment Officer. 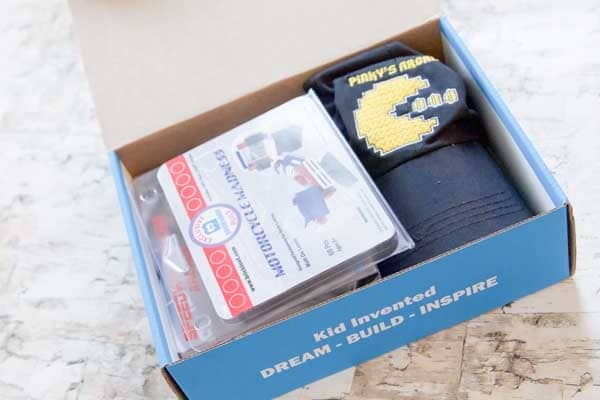 When you open your box, you will see printed on the side, “Kid Invented” Build – Dream – Inspire. This box absolutely inspires my kids to build and dream. If you or your little one loves LEGOs check out the next box and subscribe.